How many headaches and migraines have been caused by loud dishwashers do you think? Allow us to answer that for you: too many. Loud dishwashers are the bane of most households, especially if you are using an older model as they are more likely to make the most noise. Why you havent purchased a new dishwasher will vary from person to person, but one things for sure, you dont have to suffer in silence. Can you get a quiet dishwasher? Are quiet dishwashers worth it? 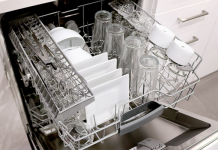 Finding a dishwasher that doesnt sound like an active earthquake as it rattles along the ground can be quite a difficult task, especially when you consider the number of products out there for you to choose from, this is why we have assembled a list of products that we feel will save you from putting your fingers in your ears every time you want to clean your dishes. Hopefully, there will be something here for you! We will be answering questions later in the article also! Looking for a more portable option? Try one of these great countertop dishwasher machines. The first product in our list here comes to you from Fisher Paykel, the DD24SCHTX7is chocked full of outstanding features that you can take advantage of. 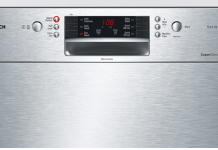 Made from stainless steel, this dishwasher is known to be one of the quietest products in the market today, utilizing some of the most up-to-date technology known today! There are 7 place settings in this dishwasher, not to mention 9 wash cycles, which does include an Eco option also! The adjustable racks will very rarely move around when in the dishwasher itself, so you dont have to worry about loud noises coming from the dishwasher as it is turned on. This one has a 163 sanitizing temperature too, which is ideal in your more modern units. Why We Liked It - We loved how easy this product is to use, as well as the Eco option which is always going to be positive in any dishwasher. The stainless steel interior of this one comes complete with Nylon racks that will lock your items inside, which makes for a very quiet clean as a result! Bosch is one of the most reputable names in the dishwasher community and with good reason. You are always going to guarantee quality which is one of the biggest takeaways of this dishwasher aside from being a quiet one. Touch control technology allows you to easily navigate this dishwasher, which is all you could really ask for really. The EasyGlide rack makes it very easy to open after each use. Customer reviews for this product are mostly positive, which goes to show satisfaction with every purchase. Why We Liked It - This dishwasher not only ticked the right boxes for us, but it also happens to be one of the quietest machines out there. For cheaper options, see these dishwashers under 400 dollars. If you find that you are washing a lot of dishes, then you might want to consider this particular product. 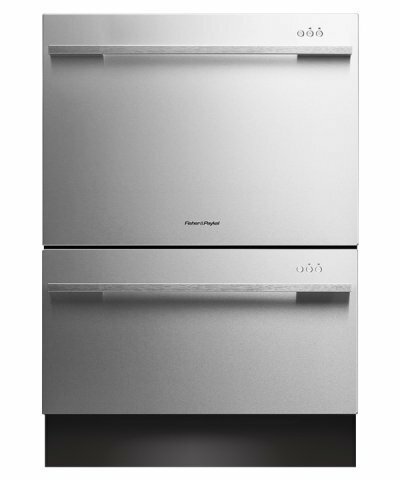 The Fisher Paykel Double DishDrawer is one of the most efficient machines in the market presently. 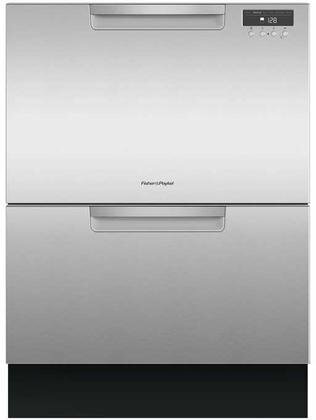 This stainless steel dishwasher is one of the better products to come from Fisher Paykel simply because of the sheer size of it. This one comes with a lot of the same features as the other Fisher Paykel that we've already touched on within our list here. Meaning you'll find adjustable racks and all of the bells and whistles. If we had to choose one dishwasher out of our list here, it would more than likely be this one. Why We Liked It - We were pleasantly surprised to learn how quiet this dishwasher was despite its sheer size which is hands down the biggest compliment we can give it. Our final product included here is another Fisher Paykel dishwasher. We love their products for the simplistic nature of them and the list of additional features that can be found strewn throughout. This one comes with 14 place settings. Yet again this one comes with an Eco option as well as 9 wash cycles for you to choose from. You can delay the start of this one also, which is always going to be a great touch. This one comes with adjustable racks, the kinds that dont shift around as you have the power of this one turned on. 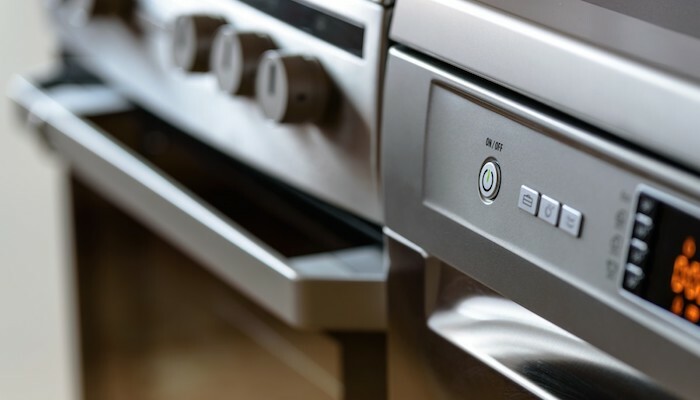 With a 163 degree sanitizing temperature, you can guarantee that your kitchen items are going to be cleaned thoroughly and with little noise complaints. Why We Liked It - A very efficient dishwasher that has tremendous upside given its features, thats how wed go about describing this one. When out looking for a decent dishwasher you might find that there are countless features that come with any product you choose. However, since youve clicked on this article, you are more than likely looking for a product that is quite quiet compared to others. The truth is you can never truly know how a dishwasher is going to react until you bring it home, install it and then begin to wash dishes within it. Why it is making noise will depend on the unit and the floor that it sits on top of. If you have a completely flat surface underneath the dishwasher, then the problems will lie within the unit which is when you can try some alternate methods in hopes of trying to make it a lot quieter. If the floor underneath the machine isnt straight then this will cause the machine to wobble as the unit is in use and will, therefore, generate a lot of noise as a result. Short answer: yes you can. But again this depends on a lot of factors that weve already covered in the article above. Most machines come with a warranty attached thus allowing you to return the machine if you are sick and tired of the noises it generates, or are just simply disappointed in how it operates in general. 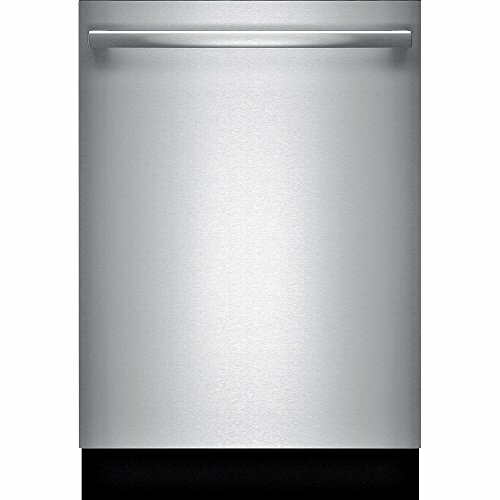 Wed advise finding a reputable company if you are going to purchase a dishwasher. This will mean that you are going to pay a little more for a dishwasher, but it does mean that you are going to be guaranteeing quality and will be given a good warranty on the unit you choose. In terms of the question at hand, yes, dishwashers are expensive. Prices will vary depending on the size of the unit and the list of features that come with it so be warned. We would like to think so yes, but whether or not you agree depends entirely on what you class as value for money. We will always make purchases depending on what we need at any given time, meaning if a dishwasher is annoying us with loud noises and we have the money to purchase a new one, then we will just go out and purchase one! In our list above we tried to compile a very diverse set of options for you that all vary in price. Which of these units you choose depends entirely on the kitchen you have and the amount of money youve set aside for a new dishwasher. Always make a choice that fits you and your own requirements. We know so many who have purchased dishwashers just because of the features an havent taken into account the size of their kitchen. Dont be one of these people. Noises are often caused by the dishwasher bouncing up and down on the ground. If you wish this to stop then why not try placing a heavy object on top of the dishwasher in order to keep it in place. Remember to not use something too heavy as this will cause serious damage to your unit. Dishwashers were invented all the way back in 1887 by Josephine Cochrane who was initially frustrated that her servants were chipping all of her fine China. She would later start her own business and lead the charge for dishwashers everywhere!